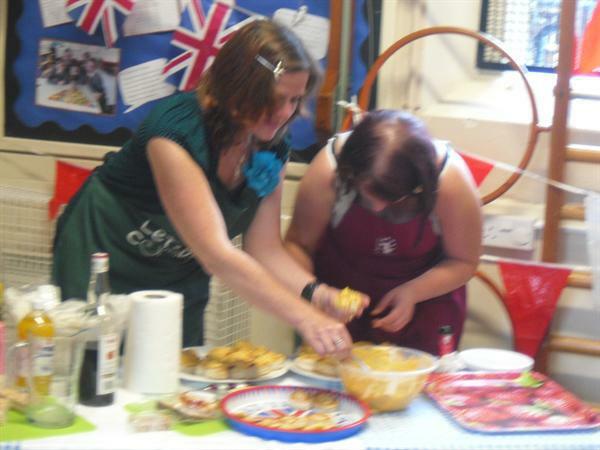 As we approach the end of Lets Gets Cooking's second successful year. 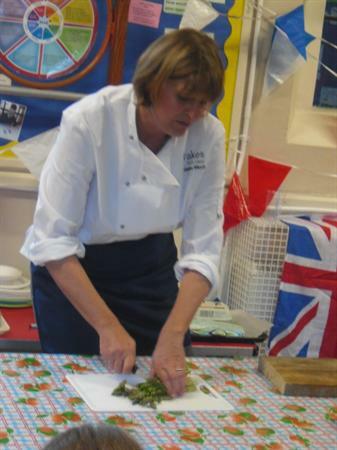 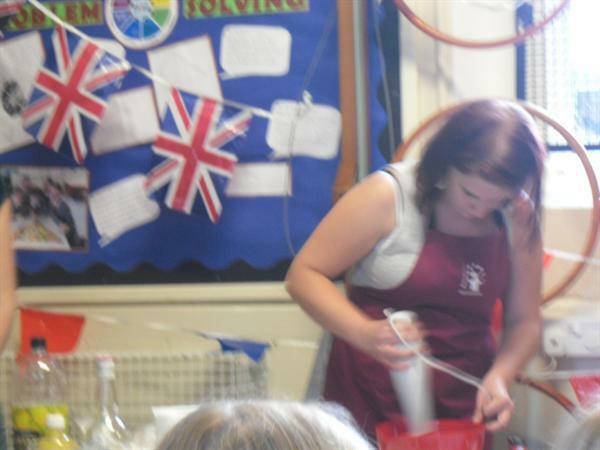 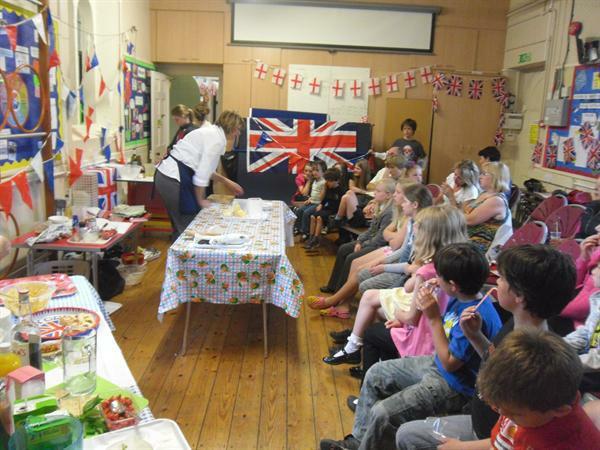 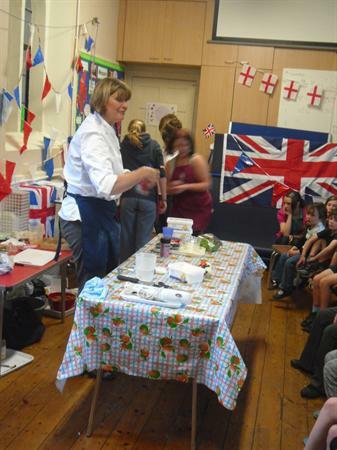 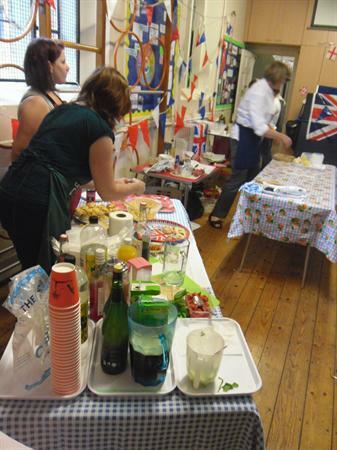 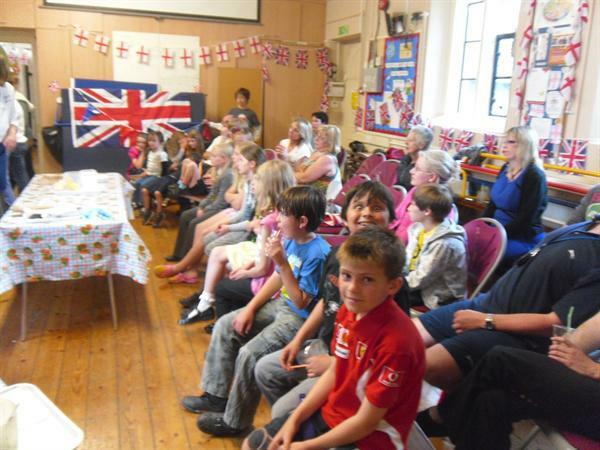 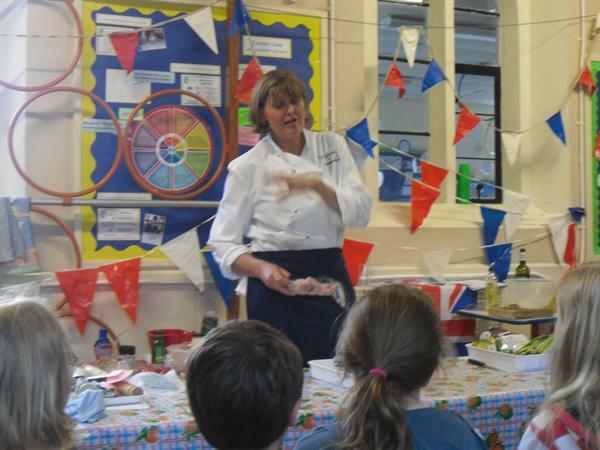 Mrs Winch treated us to a cooking demonstration in which she showed us how to cook dishes fit for a queen in the run up to the Jubilee! 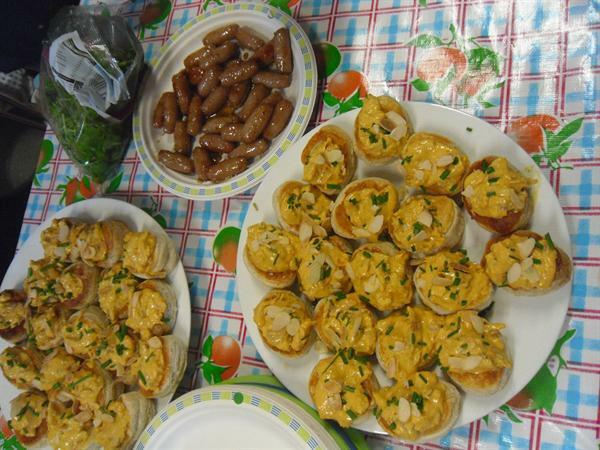 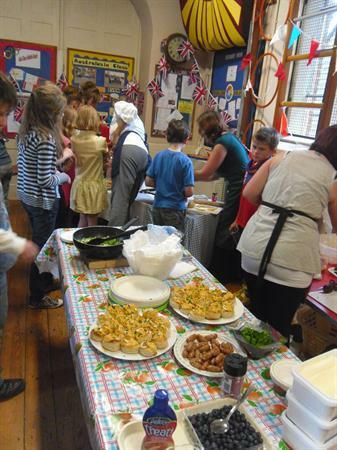 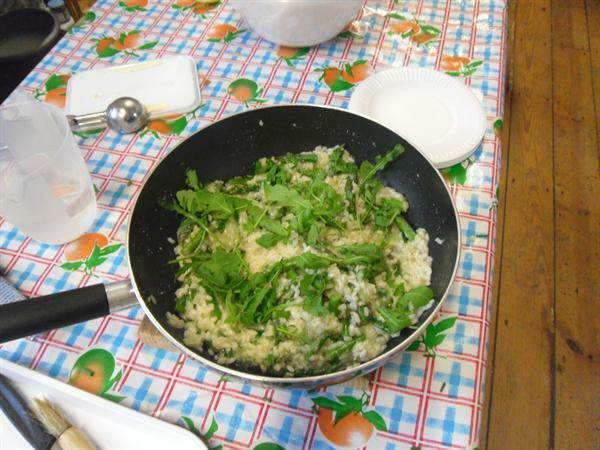 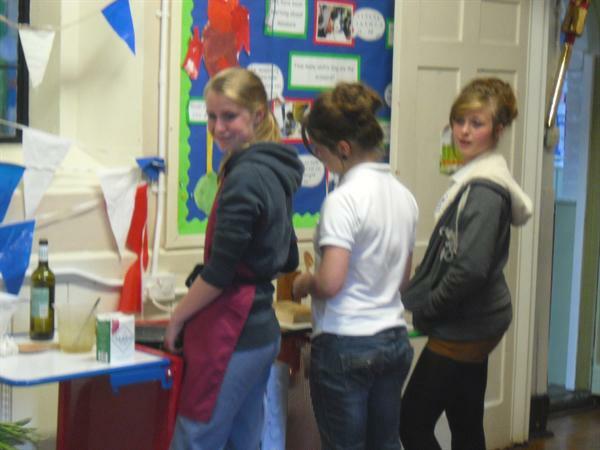 The children at Lets Get Cooking, prepared all of the food for the evening. 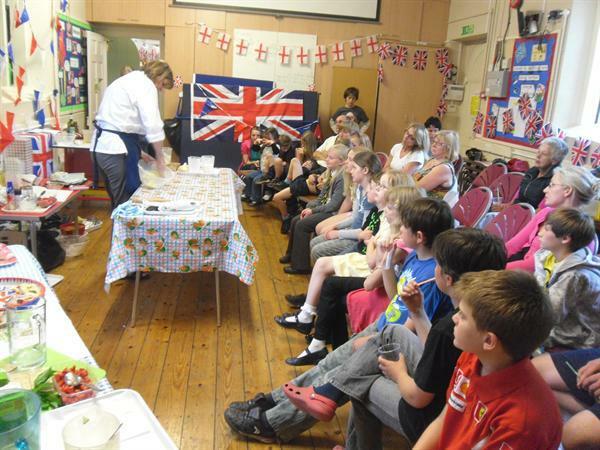 Mrs Winch cooked up a wonderful risotto, some honey glazed sausages, a perfect coronation chicken, and a firm favourite was the red, white and blue ice cream sundae to finish! 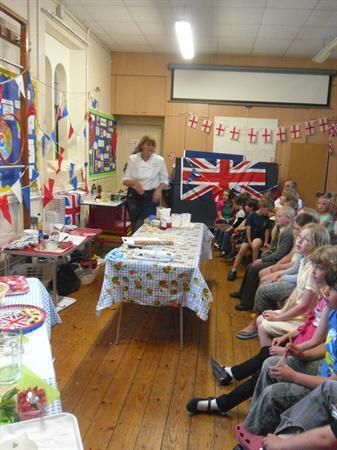 Everyone thoroughly enjoyed the evening, especially the tasting! 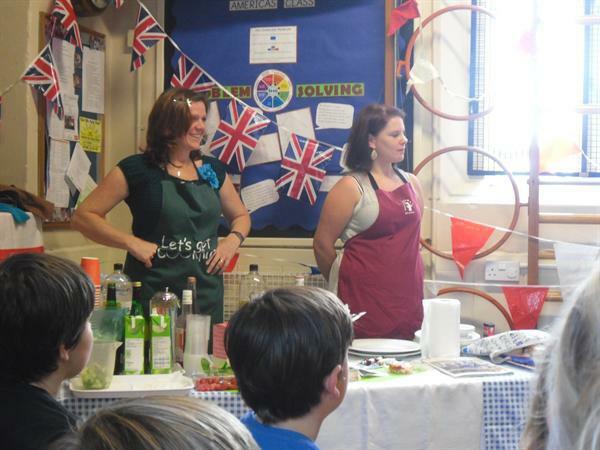 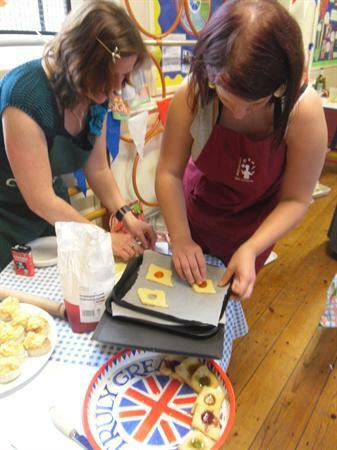 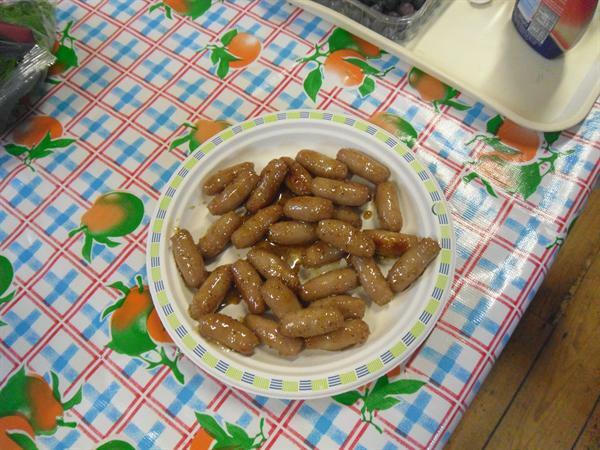 A big thank you to Mrs Winch and all her helpers involved who make Lets Get Cooking such a success for all the children.